The Lilacs Are Coming! 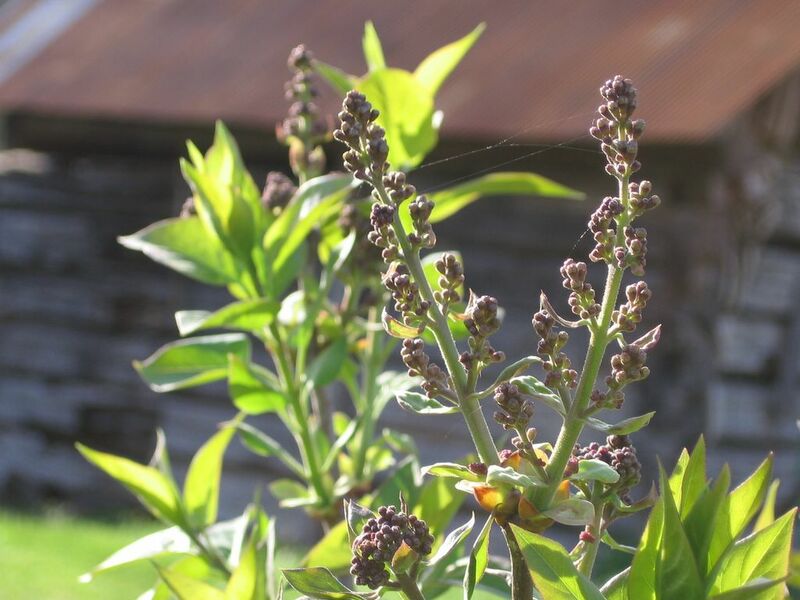 The Lilacs Are Coming! Ahhh! the fragrance of lilacs, can hardly wait. Woo hoo! You know how I love them. Ours are just ending, BTW. But they have had a long and glorious run. Ohhhh that is my favorite time of the year!!!! Please show us a pic when they are all bloomed out. I could bury my nose in them! Yummmmmmmmmm.. I remember lilac around the house when my mother brought them in... miss it too. Cannot get past the verification letters on your gardening blog to leave a comment. Have been trying for 2 days. So will try here. Wanted to thank you for posting there. I knew you had things to teach us, and were just too busy to get to the computer! Thanks again! But that means you'll get to enjoy my lilacs and then yours. To me, there is nothing that compares to the scent of lilacs. (Well, maybe jasmine, but I don't have any jasmine in the garden; I'm not even sure if I could grow it here. I should look into it, though. Okay, getting sidetracked, LOL). I don't remember ever seeing (or smelling) lilacs before I moved to Missouri. There was one huge old bush at the first farm I lived on, and I was blown away by the flowers. I cut them and scattered them around the house in tiny vases. It is amazing how just one or two blooms can perfume an entire room. Wow, you really are ahead of us. Glad to hear yours did well this year. It looks like it's going to be a good year for lilacs here, which only happens once every several years. I can't wait. If I'm not too busy burying my nose in them myself (watch for bees before you sniff!) I'll be happy to post a picture for you. Grrrr. 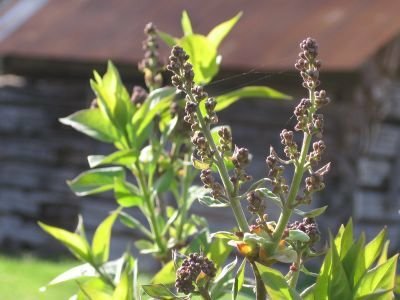 I, too, have had problems leaving comments on my gardening blog-- and I've heard from others as well. I don't know what the problem is except that Blogger has been acting up in all sorts of ways for the past month. Some people have been able to leave comments, and sometimes I'll try and it won't work, but a little while later it will. Two days? I appreciate your persistence! If you or anyone else reading this has any opinions about the photos (or anything else regarding the blog), feel free to let me know. I'm going to try shutting off the word verification and then turning it back on. I just get too much spam if I leave it off. Maybe that will help. If you continue to have problems leaving comments, you can always email me: farmgirlfare AT gmail DOT com. I live in the pacific nw. I have lilacs. I have the deep purple, light purple, white, and a blue - purple. I get healthy root cuttings as I call them. Young plants coming from the roots. I dig up and put in pots/ give away or plant some place else in my garden. The root plants bloom after 2/ 3yrs. in the ground.I prefer mine to be a tree over a bush. So I trim all the lower branches and let it form a trunk. I have also a white butterfly bush. It is huge! and so it makes an excellant privacy screen from the neighbors. My hummingbirds and bees love it . Thanks for a great web page.